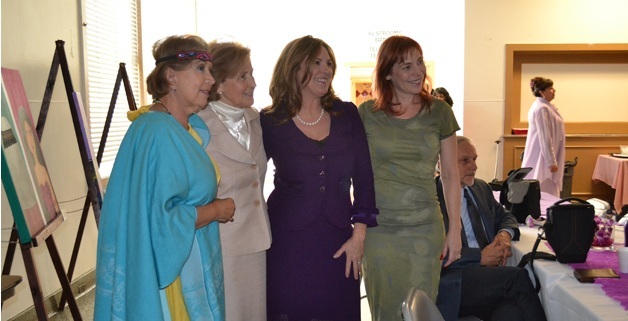 Lucia De Garcia, Poet Laureate, Sister Trinida Lopez, Founder of Nuevo Amenecer, Deirdre Hade, Founder of the Foundation for Radiance and Nicole Brandon at a New Dawn Integral Event. The Foundation for Radiance is the proud supporter of Nuevo Amanecer Mujer Integral (New Dawn Integral Women). 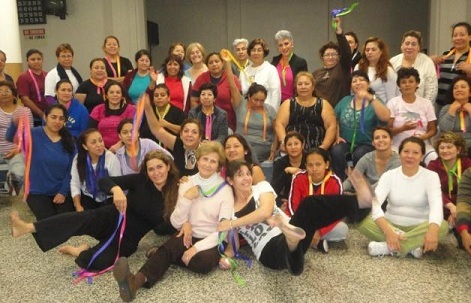 This organization was founded by Sister Trinidad Lopez (the Order of the Guardian Angel) to bring healing and rehabilitation to Latina women. Based in East Los Angeles, New Dawn Integral's programs provide spiritual, emotional and educational guidance to women from abused backgrounds, including sexual trafficking, in order to provide them a chance to lead a successful life. The Foundation for Radiance brings inspirational speakers and volunteers to assist Sister Trinidad and our hope is to increase our support of her good work over the coming years.